We were recently given the opportunity to review the Doc McStuffins accessory, and the Doc McStuffins Doctors Dress Up sets, both by Flair. 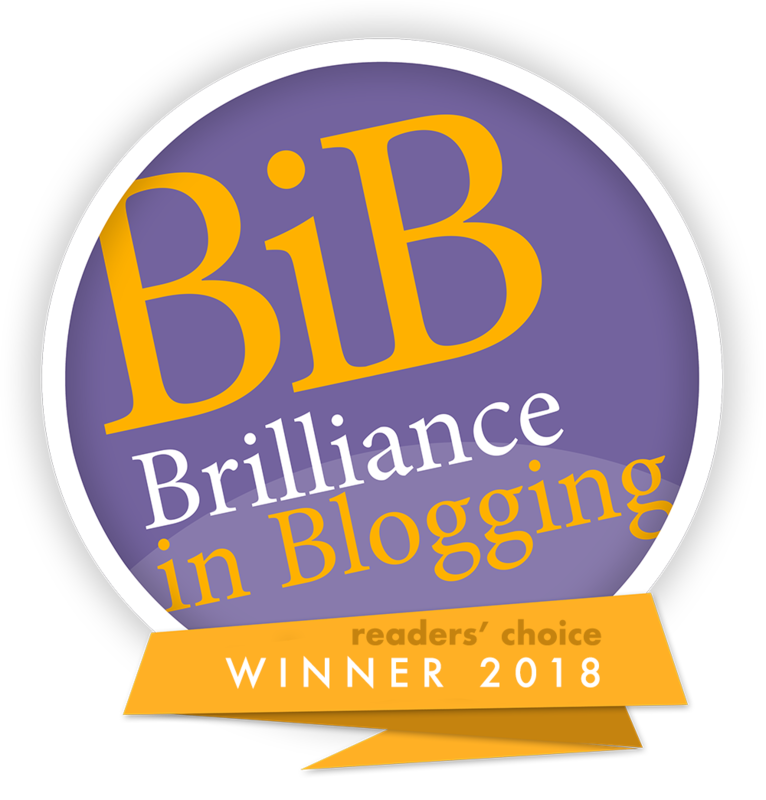 For those of you not familiar with the character of Doc McStuffins, Dottie, or 'Doc' is a six year old girl, who has always dreamed of becoming a Doctor like her Pediatrician Mum. In order to follow this dream and one day make it a reality, Dottie keeps herself in practice by fixing broken, unhappy, or worse for wear toys and breathing new life in to them. By activating her magic amulet (in the form of her stethoscope) she is able to transform into Doc Mcstuffins. Whilst in the character of Doc, she can communicate with toys and find out what is wrong with them. To help Dottie with her healing and mending of toys, she has assistance in the form of her own toys. These include Hallie the Hippo, Lambie the Lamb, Chilly the Snowman and Stuffy the Dragon. When diagnosing what is wrong with a toy, Doc consults her homemade 'Big Book of Boo Boo's', an encyclopedia of toy injury's and sicknesses. After doing so, she can help the toy recover and go back to being a happy fun-filled toy, often with a song or moral lesson along the way. Tyne & Noah have both been fans of Doc McStuffins for a long time and I just knew that they would love to try out the new sets! 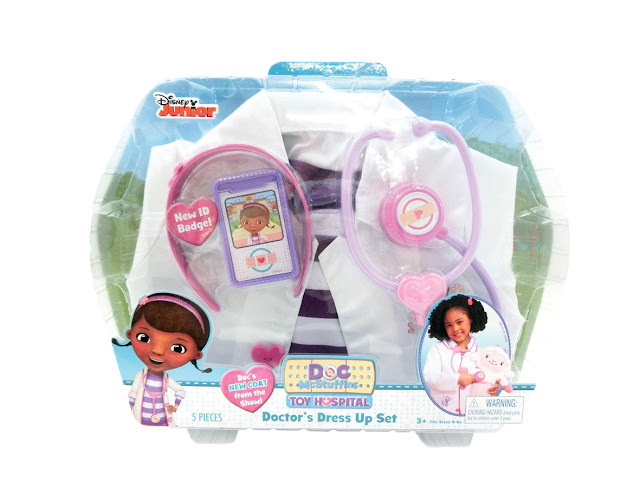 The Flair Doc McStuffins Doctor's Dress Up set is a wonderful role play kit, and fabulous recreation of the good doctors very own outfit. The set includes white coat with heart shaped buttons, striped top, Doctors ID name badge with interchangeable settings, Alice band, and her customary stethoscope. 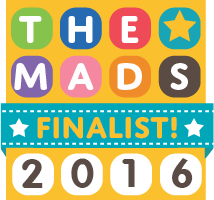 The set is suitable sizes aged 3-6 based on standard UK clothing sizes. Whilst the character of Doc is a girl, there is really no need to assume that a boy won't want to dress up as her....our boys certainly did and in fact Noah was very taken with the adorable alicve band! 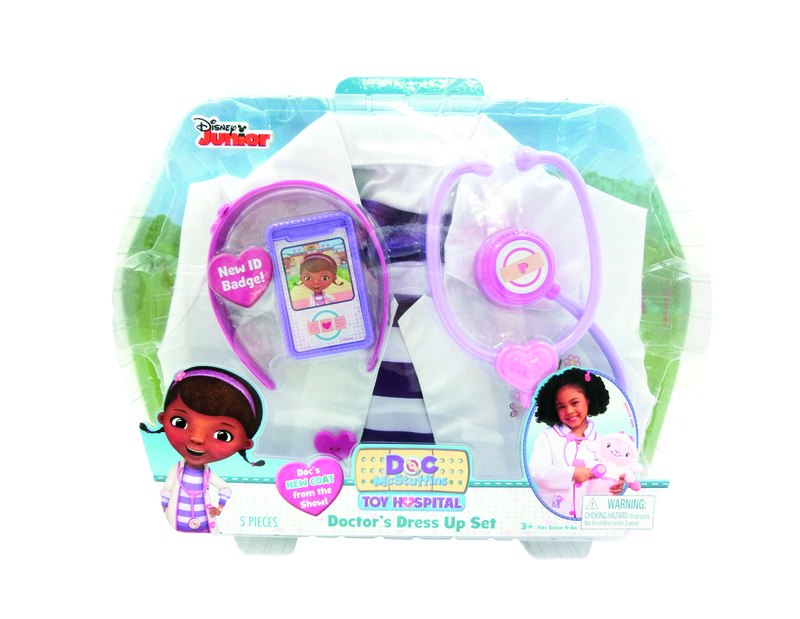 Our boys have loved playing at being Drs, so it's worth noting this set is ideal for any little Doc McStuffins, or dress up fan, boy or girl. Tyne and Noah have not only been treating their toys during games, but both Mummy and Daddy have both received check ups and treatment in one form or another. I never even knew we were ill, but apparently 'Sleepytosis' and 'Poorly Tummyeasles' are quite rife in our house! The Doc McStuffins accessory set, also by Flair, contains all the medical equipment any budding Junior Doctor could ask for. 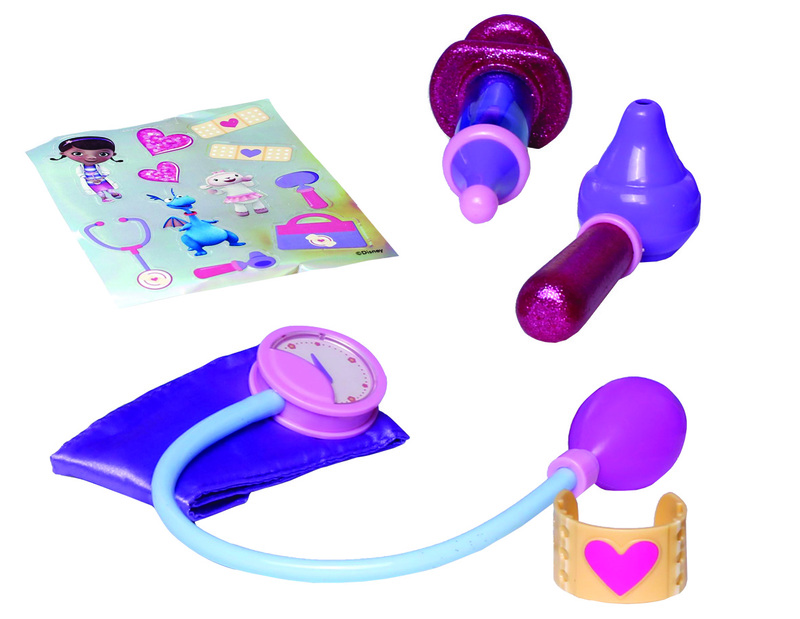 Just like the Dress Up set, the items included are very accurate reconstructions of Doc's own medical equipment, even down to the purple glittery handles on each item. This set contains a blood pressure monitor cuff, a play syringe (no needle rest assured! ), play bandage/plaster, otoscope (that thing Doctors use to look in your ears) and sticker sheet. 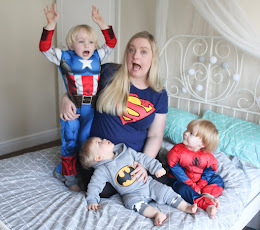 Whilst each set could easily give any child hours of entertainment, when combined they really do match the characters outfit and equipment perfectly. This is worth noting as it's not often you see this level of accuracy and quality in children's role play set's of established TV characters. The Doc McStuffins Doctor's Dress Up and Doc McStuffins Accessory set have both been big hits in our house. I wonder if they'll set any of our boys down a career path in medicine...? Here's hoping!